Fuller Classic Car Battery 6v 421 Open Bar Rubber Battery CY421|Buy Online. Free next day delivery on all Car Batteries. 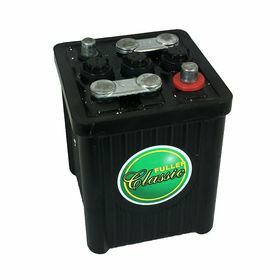 Fuller Classic Car Battery 6v 421 Open Bar Rubber Battery CY421 comes with 2 years warranty for peace of mind.